Lake Bled Swimming geht in seine 3. Auflage. Der türkisgrüne See umrahmt von toller Bergkulisse liegt knapp südlich der Österreichischen Grenze auf Höhe von Klagenfurt. Das mondäne Bled und die einzigartige Kircheninsel bilden das Ambiente für ein hochklassiges Rennen. Wir sprachen dem Organisator dieser Veranstaltung, Jus Velickovic. 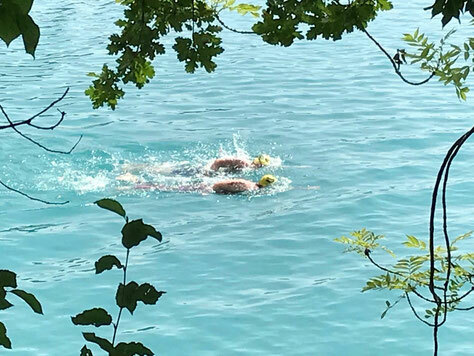 Das Lake Bled Swimming geht in seine 3. Auflage. Was war deine damalige Motivation mit dem Event zu starten? JV: Slovenia is a land with many nice lakes. It also has a beautiful sea, so it offers a lot of surfaces to swim. 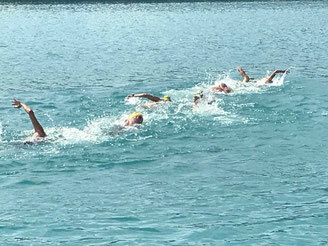 But surprisingly, open water swimming is not as popular as pool swimming or, for example, running or cycling. 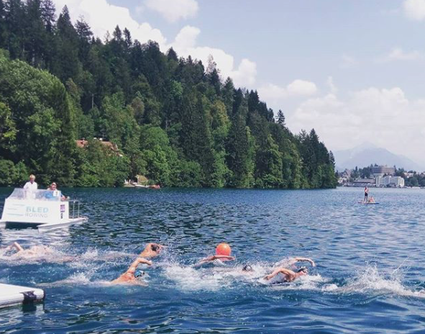 Therefore, our team, which has international experiences in open water swimming and event organisation, created this event to make lakes more popular. We chose Bled as the best possible location for this. Bled is beautiful and very popular among people. Was waren deine besonderen Highlights im Laufe der Veranstaltungen ? JV: Our event is still growing. For example, 2 years ago, we only had 40 swimmers from Slovenia, and last year we already had more than 150 swimmers from around the world. Last year the competition was really strong. 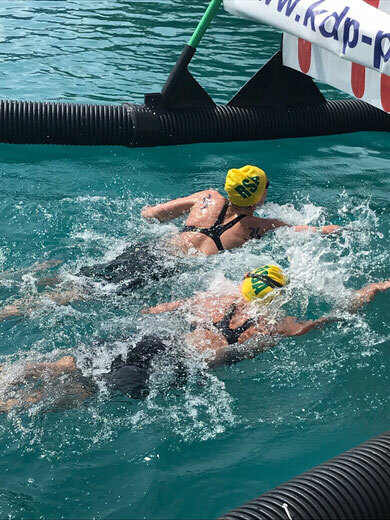 There were the best Slovenian swimmers, some with Olympic experiences, some of the best Austrian swimmers, the junior national team of South Africa, etc. Two of these participants later became the European masters champions in open water swimming. They competed in the European Masters Championship which also took place in Bled. JV: We will try to carry out the best event and organisation possible. 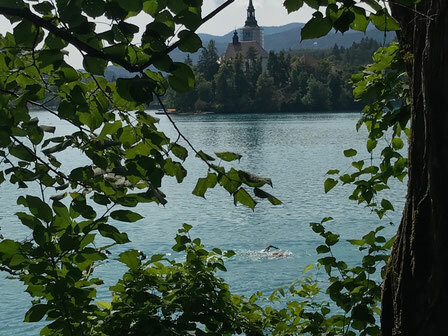 Our plan is to make a Bled Swimming Challenge experience even better than the last two years. Last year I travelled a lot and I saw many successful sports events. There I got some ideas how to make improvements and what more can we offer to the competitors and spectators. We already renovated our website. We are also planning to carry out some novelties – warm meal, registrations, organisational changes. We learnt a lot from our last year experiences. Come and see with your own eyes. You won’t be sorry. 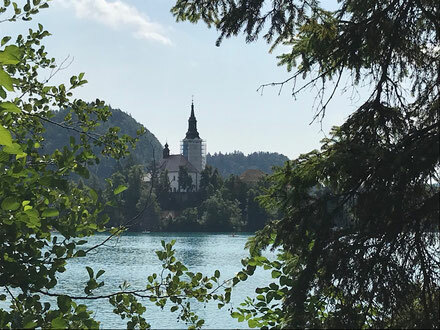 JV: I think, in Lake Bled itself. I see it as one of the most beautiful places in the world. But, what makes our marathon even more attractive and special is a very strong participation of the best open water swimmers. Some of the best Slovenian and world swimmers are planning to compete in our marathon this year. We are going to improve our organisation and make a marathon experience even better than in the years before. We are also preparing an accompanying programme, so everyone will be satisfied. JV: As afore-mentioned, there are / will be many novelties as far as the organisation is concerned. Our website is already renovated and so are the registrations. The programme will be wider than last year. There will be a warm meal for every competitor and we are also planning to offer them massages. We see each and every year as something special and new. Unser Cupkonzept besteht ja darin, eigenständige Veranstalter mit Ihren Persönlichkeiten, Ideen , Veranstaltungsort und Netzwerken Raum zur individuellen Entfaltung zu lassen. Was macht die Person Jus Velickovic aus. Was ist dein beruflicher Hintergrund? My everyday is to be a swimming coach. I have been doing this job for ten years now. I am a young but very experienced swimming coach. Currently, I work in Slovenia, but I have a lot of international experiences. I used to work in Graz, Austria. There, I was an assistant coach of one of the world‘s most famous coaches Dirk Lange in Steiermark Land Zentrum. My time in Austria was very successeful because our team wasn‘t composed only of some of the best Austrian swimmers but also of some of the world‘s most famous swimmers like Cameron van den Bourgh. He, for example, won some Olympic medals in Rio 2016. We were also in charge of the Olympic preparations for a part of the Chinese national team for those games. They also won some medals there. From 2016 on I work in Slovenia, and I would like to give some of my knowledge back to my country. My swimmers here in Slovenia broke some national records in youth categories. Unfortunately, I do not have experiences with coaching open water swimmers. I have an impression that Slovenians underestimate open water swimming. I am trying hard to change their opinion. That is also one of the ideas that motivates me to make Bled Swimming Challenge a more recognizable event in our area. JV: I was a swimmer for about 15 years. I participated in the European junior champioships in open water swimming and many international open water races around the world. But I finished my swimming carrer early, because I have an opinion that I can give more as a coach than as a swimmer. I know natural predispositions are extremly important and mine were not sufficient enough to support a top level performance which is desired by many professional athletes. But I still practise every day. Sport will always be an important part of my lifestyle. JV: As I said before. 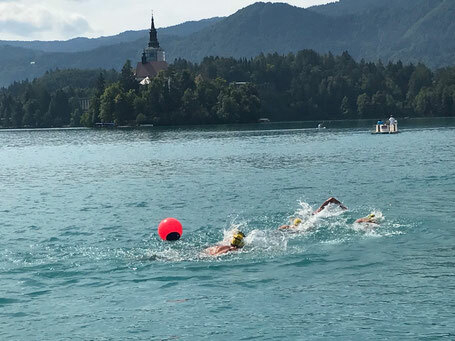 I would like to make Bled Swimming Challenge a recognisable event in the region. Wir bedanken uns für das Interview und wünschen dem Team alles Gute.